Don’t get me wrong; growth is important – very important. A long-term McKinsey study has shown that revenue growth is strongly correlated with future business survival, more so than company size, industry, or shareholder returns. Companies that grow do so because they have a strategy to grow. 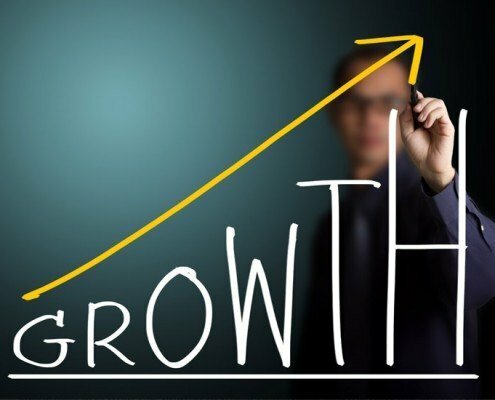 So, although “Growth” isn’t a strategy, you can – and must – have a Growth Strategy. Before we define what a growth strategy is, let’s clarify what a growth strategy is not. A growth strategy is not a complete business strategy. A business strategy is bigger. 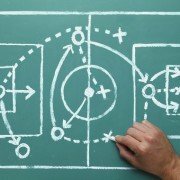 According to Patrick Lencioni in his book The Advantage, a business strategy is the sum total of its plan for success, the “collection of intentional decisions a company makes to give itself the best chance to thrive.” That definition frames business strategy as an expansive concept (which it is). But as Lencioni admits, such a broad framework for business strategy is merely a starting point and must be narrowed to offer practical guidance. A growth strategy is not a sales strategy. A sales strategy is a subset of a growth strategy, focused on who the ideal customers are, what the value is to those customers, and how the selling gets done. A growth strategy is not a competitive strategy. According to Michael Porter in his classic HBR article What is Strategy?, “competitive strategy is about being different.” It requires “deliberately choosing a different set of activities to deliver a unique mix of value” and to create a sustainable competitive position for the company. A solid competitive strategy will help you grow, but it isn’t an actionable plan to grow. A growth strategy is not a marketing strategy, a corporate strategy or a product strategy either. Then what is a growth strategy? In simple terms, a growth strategy is a bridge that links your business strategy to the ongoing processes and activities that will drive profitable growth for your business. What are the greatest constraints to our revenue growth this year? What are the contributing factors that have allowed these constraints to remain in place? Understanding the constraints to growth and their underlying causes will help you identify the best levers to push for profitable growth going forward. What are the top 3-5 that would have the greatest impact on the business? Over what time horizon do we need to see results? How should we sequence the identified growth levers into a plan that optimizes revenue and profit while minimizing risk for our business? I hope your strategy has more substance than simply “to grow.” And, if you want to grow, you’ll need a strategy to do so. Enjoyed the post? Check out our growth strategy framework to learn more.